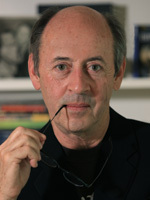 Billy Collins is a two-term United States Poet Laureate, New York State Poet, and the author of ten collections of poetry, including his latest, Aimless Love: New and Selected Poems. Today, Collins is a Distinguished Professor of English at Lehman College (CUNY) and a Distinguished Fellow at the Winter Park Institute of Rollins College. He divides his time between New York and Florida.